Полная версия стенограммы показаний Роберта Планта, данные им 21 июня 2016 года в суде Лос Анжелеса по делу о плагиате «Stairway To Heaven». Осторожно, много букв на английском, но меньше, чем в показаниях Джимми Пейджа. LOS ANGELES, CALIFORNIA; TUESDAY, JUNE 21, 2016 10:54 A.M.
MR. ANDERSON: Thank you, Your Honor. 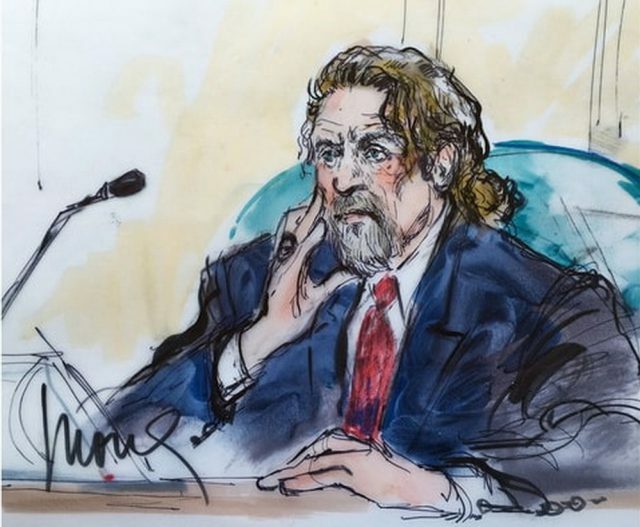 Defendants call Robert Plant. THE CLERK: Right here to be sworn. Please raise your right hand. Do you solemnly swear the testimony that you are about to give in the matter now before the Court shall be the truth, the whole truth, and nothing but the truth, so help you God? THE CLERK: Thank you. You may be seated. May I please ask that you state your full name for the record and spell your last name. THE WITNESS: Yeah. 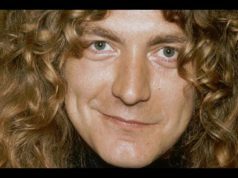 Robert Anthony Plant, P-l-a-n-t. THE COURT: Thank you. You may inquire, Counsel. MR. ANDERSON: Thank you very much, Your Honor. Q. Mr. Plant, you’ve heard testimony during this trial about «Fresh Garbage.» How did you first learn of «Fresh Garbage»? A. In some period early in ’68, there was a — a compilation album issued by CBS Records. It was a kind of a budget compilation which contained records by many of the artists recording on Columbia at that time, and it was quite an unusual thing to have such a cross section of contemporary American music. Q. And you bought it? Q. Okay. Was «Taurus» on it? Q. Did you have any other albums? A. Yeah. I had a bit of a mobile life at that time. I had left home when I was 17, and I was kind of moving between locations, so I only had a few records at that time, but, yeah, I — I was carrying some around with me. Q. Did you have any Spirit albums? Q. You’ve heard testimony about Mothers Club? Q. What was Mothers Club? A. Well, Mothers Club was a kind of converted — I think it might have been a second floor or factory warehouse in Birmingham, Birmingham being the second city of the United Kingdom, just about. And at that time in the late ’60s, Birmingham had a reasonably prolific music scene. Probably not as big as Liverpool, but it was getting up there. And this club, I mean, maybe once or twice a week had bands coming through, or entertainers on one level or another, and it was a particularly good environment for us local musicians to hang out, no matter what stage we were in the adventure. We were kind of encouraged and welcomed there by the owner, who had, earlier on in the ’60s, had several kind of dancehall locations around Birmingham. So he was encouraging us to all meet, hang out. And it was a good thing, you know, because in those days, there weren’t too many places that were too welcoming of people of a certain appearance and stuff. It was — it was a very transitional time out in the dance floors and on the dancehalls of Birmingham and Worcestershire and all that stuff. So I used to hang out there from time to time. I used to go with my wife. I used to go with John Bonham. I used to meet up with members of different bands locally who were starting to make it at some level or another, either locally, internationally, or whatever it was. It was kind of — it was almost like a kind of a — a clubhouse. Q. Okay. So did you regularly meet with your friends at Mothers Club? A. Yeah. It was — it was a sort of place where we could all team up, and kind of gave us a feeling of camaraderie, and it was a lot of interaction, a lot of exaggeration, and a lot of exuberance. It was great. Q. And did your wife regularly go with you as well? Q. Did you have a child at that time? A. Yeah, had a little girl. Q. So was this basically your night out with your wife? A. Outside the village, yeah. This was a big deal, because it was quite a journey and we had to secure a baby-sitter and all that stuff. Q. Could you generally describe the layout of Mothers Club. A. Well, yeah. It was a little part of Birmingham called Erdington, and from what I can remember, I haven’t been past there for like 40-years plus, it had a kind of — the main street opened up to a lot, a pavement, and there was a little door downstairs, that you’d go up some steps, round the security guy, and then at the top of the stairs, I think on the left, there was a bar area, which, that’s where we kind of congregated. And from there on, from the bar, there was a sort of — you could either go straight into the room itself where the people were amassing, or you could go into the bar and have a drink and team up with your pals. Q. Okay. And did you and your wife go to Mothers Club basically no matter who was performing? A. Yeah, because we knew that — I mean, John Bonham’s wife, Pat, we’d just meet up there. Because it was our own energy field. We were with our own age group of people. Country pubs tended to have people who were a bit older than us, who — there was nothing really greatly to communicate with when you’re 20 years old and you want to talk about plowing and bringing up horses and stuff. Q. When you went there to talk with your friends, did you ever talk at the front, where the bands were performing? A. Well, no. You know, the doors opened, and because it was probably, in its own time, quite an auspicious place, there would be many artists who kind of typified the underground scene in Britain outside of the pop idiom, so there was a lot of excitement about people coming through, and so you couldn’t get anywhere near the front, and that would be a pretty much of a — it would be quite a task to do that, yeah. A. Yeah. Everybody — I think it was a house PA, to be honest, and so the big speakers that most of the sound came out of, or the singer, at least, would be either side of the stage, like big bins, like the size of this here (indicating), but obviously only about three or four foot high, with a tweeter on the top, some kind of cone. So it was pretty loud, yeah. Q. Is that another reason why you and your friends didn’t talk at the front of the room where the — where Spirit — or the end of the room where Spirit was — I’m sorry, my apologies. Is that another reason why you and your friends didn’t — talked in the bar area rather than where the performances were going? A. Well, it was one reason, yeah, because you wouldn’t barely hear a word anybody was saying, number one. But number two, as our profiles would develop, and it was as much of a shock to us as it was to people going in there to see bands, we became kind of, umm, slightly polarized. So we were better off up the back with the owner of the club and with the people who we were looking forward to seeing. And I’d been playing in that area since 1963 and I was 15, so there were all sorts of — it was a real kaleidoscope of different kinds of artists, people who were perhaps — it was a good exaggerated gang of people. So, you know, you can’t really enjoy a repartee if you’re too close to the noise. I wouldn’t like to see people, to be honest, having a conversation right in front of me, either. Q. So if I understand, because I may have interrupted, you feel it would have been rude to talk in front of a performer? A. Well, you don’t do that. Q. Can you estimate how many times you went to Mothers Club back in the day? A. I couldn’t tell you, but I suppose 40, 50. You know, it was a real sort of — the place that you could fraternize, and so it was really the best place to go in Birmingham at that time for us. Q. Do you have a recollection, do you actually remember, hearing Spirit perform at Mothers Club or seeing Spirit perform at Mothers Club? A. No, I can’t recall, actually, Spirit or anybody playing there, with the passing of time. I know that they did play there, and I do know that night my wife and I were involved in a big car wreck, and she had a fractured skull, and I had the front part of the windshield sort of buried in the top of my head, which is interesting, and I was hospitalized. We both were. And I don’t remember a thing, no. Q. — and Spirit had performed there? Q. And is it correct you don’t dispute it, you just don’t know either way from memory? Q. In the 1960s and ’70s, could you read or write music? A. Not yet. I haven’t learnt yet. Q. Okay. To this day? Q. Back in the 1960s and ’70s, could you play a guitar or keyboards? A. No. I was really — and we’ve heard a lot of people talking over the last week, but we all come from different periods of time, but I was really into the singer as a singer conceptually. I was raised on Elvis and, you know, Buddy Holly and Gene Vincent, Eddie Cochran, and, obviously, times were changing and the musical trends were developing and becoming something else, but I — I didn’t really try and pick up the guitar, no. Q. We’ve heard references, and I’m sure I’m not going to say this correctly, but we’ve heard references to Bron-yr-Aur. Q. And how do you actually say that? Q. And what is Bron-yr-Aur? A. Well, Bron-yr-Aur is a little cottage in Snowdonia. Snowdonia is the — in the northwestern part of — from the Irish Sea of the Welsh coast, inland. It’s the most mountainous part of northwest Wales. And Bron-yr-Aur was a little cottage that belonged to some friends of my mom and dad, and when I was a kid, a little boy, I used to go with my parents there. And it was remarkable really, because everybody lives in little boxes, but there you have this house just balanced on the side of the little mountain, with no electricity, no facilities, but was a very homely place. It was — so, as — through my childhood I went there a lot with my mom and dad, and then, basically, slowly I became adolescent and was allowed to go with the owner’s children, and on and on and on. And it’s still there now. Q. Where were you when you first heard any version of what became «Stairway to Heaven»? A. I was in Headley Grange near — in Surrey, I think it is, one evening, sitting with Jimmy Page. We were recording in this facility where you have a mobile truck which is modified, like a big horse truck, and inside it you got a kind of mobile recording studio. And out of the side of the truck you can take lines, microphone lines, which go into the house, and you can position them in various places to get different kinds of sounds. So it gives you the freedom and facility to not to be governed by time, as you would do in a normal studio here or in a town or in a city, and it means that you can work whenever you want to, however you want to, and on whatever you wish. So sitting with Jimmy, we’re just sitting by the fire and ruminating and checking things out, was one thing, but we were recording and doing lots of other — visiting lots of other bits and pieces randomly as we developed, you know, new stuff. Q. Could you tell me the circumstances under which — could you describe what happened or how you first heard specifically of any music that became «Stairway to Heaven» at Headley Grange. A. Well, as best I can remember, there were periods when I wasn’t actually active. Maybe I’d go home for a bit, go to London, go somewhere, but, so, on a musical level, I came in and out of the whole idea of developing songs. Because from my angle as a singer, you either have a kernel of an idea which you can latch on to and start developing a vocal and a melodic aspect, or you have to wait a little bit to see whether or not there’s something there that can actually — you can actually (snaps finger), you know, hook up with. So that particular evening, I sat with Jimmy by the fire, and he began playing. And I had this little couplet lyrically that, if you like, in tempo, fitted into what he was playing. So I just started developing that into two lines, then four lines, and then on, slowly, opening it up. Q. What was the couplet? Q. Would you rather I not ask? A. «There’s a lady who’s sure all that glitters is gold, and she’s buying a stairway to heaven. And when she gets there she knows that the stores are all closed; with a word she can get what she came for.» Now, and on from there. I think the way that the mood of the place, everything that fell from me, I was really trying to bring in that aspect of Welsh, the beauty and the remoteness of the pastoral Britain. And I’d visited it previously on albums and — like «Ramble On» was a song that we played on the Led Zeppelin II. And «That’s the Way,» was a song which was coming from the same mind-set for me as a 22-year-old, 23-year-old kid. So «Stairway,» I wanted to try and bring in some of the, umm, the nature, the natural, old, almost unspoken Celtic reference into a piece. So as the song developed, it became more and more evident that I could actually change and open up my contribution. Meanwhile, the guys were working on stuff with all — you know, between themselves and opening up the song and its transition into something that was really flowering and that was — it was quite — quite a thing as we moved on through the song, to open it up and to turn around various parts of it and see it develop into something I couldn’t even imagine. Q. When you said the guys were working separately from you, what guys do you mean? A. Jimmy, John Paul Jones and John Bonham, yeah. A. I mean, you could cruise in and out. There were songs where you could immediately drop into, a melody line or something like that. I would go to my room a lot with a notepad, and if I got an idea and I had a melody that was sticking (snaps finger), just as I would do today, I could go to — because we all, each of us had a separate place. It was a residential thing, place. So if I had an idea, I could then go to the room and — if I knew how the couplet was working, I could return to that meter and — but then again, I didn’t want to be around all the hubbub of other music, so I could separate myself and see how it was developing, see where I could go. Q. Do I understand correctly that at Headley Grange, you and the other members of Led Zeppelin were working on other songs as well besides «Stairway to Heaven»? A. Oh, yeah. Yeah. And, umm, you know, it was really quite — very varied. There was a track called «Misty Mountain Hop,» which again was talking about — referring to the mountains of Wales and the kind of atmosphere of. I tried to bring it into lyrical reference to something that actually was far, far from the Celtic motherland, but — and later, or maybe it wasn’t later, I don’t know, maybe earlier, we had developed an idea which I really — I mean, it’s one of the ideas that really sticks with me despite it being 40-something years later, was a song called «Battle of Evermore,» and that also was a sort of move back into the areas of Britain that I really loved. So I was able to bring that kind of feel of me into a music which had so much dynamism, it was quite an amazing palette on which to work. Q. And can you tell us, how long did it take for you to write the lyrics for «Stairway to Heaven»? A. Well, it did start rolling pretty fast, and as it rolled, it kind of buffered and it wasn’t completely complete, and some of the actual pitch, vocal pitch, didn’t quite — didn’t end up the way it has ended up. It was — I moved it around a bit, and I also sang out of tune a lot, and — because when you’re trying to get something right, you have to try to meld it round a bit. And then as the song develops, there’s a — there are several different sections within it that require a different response, because the chords are different. A. So, yeah, it had its own tempo and own momentum, and, I don’t know, it just — then it galloped. Q. Okay. Thank you. One moment. THE COURT: Let me interrupt, because the question he asked is, how long did it take you in total to write the words? THE WITNESS: Oh. I can’t tell you. I don’t know. I mean, because — because the end is so tumultuous, it’s such a crescendo, I don’t know whether we got to that. I know we didn’t get to the solo section and the outro straightaway, so it would be over a period of time. MR. ANDERSON: Thank you. If I could just have one moment. MR. ANDERSON: Thank you, Your Honor. That’s all the questions I have for Mr. Plant. Q. You testified to «Fresh Garbage,» you becoming familiar with it from an album you had; is that correct? Q. That’s an album you purchased, correct? Q. And that’s an album you purchased in London, correct? Q. No. Where did you purchase it? A. I never lived in London. Q. Oh, I’m sorry. Where did you — in the UK? Q. All right. Would it be Birmingham? A. Could have been. I mean, there were a lot of record shops then. Q. I see. Now, «Fresh Garbage» is a song that was by a band Spirit, correct? Q. And do you have an independent recollection of how many times you played it live? MR. ANDERSON: I’m sorry. Argumentative, lacks foundation. THE WITNESS: Okay. 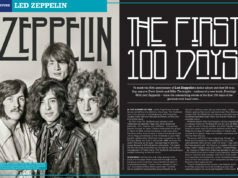 When I wrote that album, I was working with John Bonham in the Band of Joy, which is the group that preceded, almost preceded, Led Zep, so — and we were trying to play the underground clubs, the circuits, that were like psychedelic and blues-based bands, and the riff on that album,Rock Machine Turns You On, from «Fresh Garbage» was a great riff. So I was also a really big fan of Garnet Mimms & The Enchanters, and they had a track out called «As Long As I Have You.» So in that Band of Joy, we created a medley which opened up with Garnet Mimms, moved into the riff, went into some Spacecake stuff, and then came out at the other end, back into Garnet Mimms, and that kind of traveled with us, me and Bonzo, into the rehearsals with the Yardbirds. Q. Do you agree that you lifted other people’s music as part of your songwriting process of Led Zeppelin? THE WITNESS: Can you explain what that really means? MR. MALOFIY: Yes, I can. THE COURT: One second. One person at a time. The question was? Q. Do you admit that you lifted other people’s music in coming — as part of your songwriting process for Led Zeppelin? MR. ANDERSON: Objection. It’s, one, within a motion in limine that was granted, and also — and I can identify it for you if Your Honor likes. I believe it was — actually, let me not guess. THE COURT: You don’t have to, Counsel. It will be sustained. Q. Sir, did Led Zeppelin use other people’s music as their kernel, as you said in your direct testimony, as your kernel of an idea? THE WITNESS: In — in — in sort of the nest of rock ‘n’ roll and rhythm and blues, there’s always been cross-pollination without a doubt, yes. A. We wouldn’t have Little Richard, Larry Williams, the Beatles, all the people who’ve actually been involved with «Bony Maronie» or «Long Tall Sally» or, you know, «Short Fat Fannie» and all that stuff. It was all moving across space. Q. Do you agree that your first show on U.S. soil, December 26, 1968, you opened for Spirit? MR. ANDERSON: Objection, Your Honor. It’s also beyond the scope of the direct. THE COURT: It is beyond the scope of the direct. Sustained. Q. Do you agree that the early sets of Led Zeppelin were all cover songs? MR. ANDERSON: Beyond the scope, Your Honor. THE WITNESS: We didn’t have very many songs. We had an album and we had stuff that Jimmy used to feature when he was in the Yardbirds with Keith Relf. So we had a bit — bits and pieces of a Led Zeppelin I, which, I don’t know when it came out. Some — I think maybe December ’68. And we had Yardbird stuff and we had the stuff that I brought from the Band of Joy. So, yeah, we were doing anything we could. We also did a great version of a Ben E. King song called «We’re Gonna Groove,» which is really good. I don’t find that a problem. I hear you going on about it a lot. THE COURT: That’s okay, there’s no question. Next question. Q. Is it your testimony that you independently created «Stairway to Heaven»? Q. Did Mr. Page — was it the first time here in court that you learned that he had five Spirit albums which he bought in the day? Q. Did Mr. Page ever share with you that he was a fan of Spirit when «Stairway to Heaven» was being written? MR. ANDERSON: Objection, Your Honor, beyond the scope. THE COURT: Sustained. It’s outside the scope. Q. You testified as to the creation of «Stairway to Heaven» on your direct testimony. Do you recall that? Q. Yes. You testified as to the creation of «Stairway to Heaven» in your direct testimony just a moment ago. Do you recall that? Q. And in court today — or excuse me. During court you had the opportunity to hear the interview where you, Mr. Page and Mr. Jones were present, correct? MR. ANDERSON: Objection, Your Honor. Again outside the scope. MR. MALOFIY: It goes to the creation, Your Honor. Q. Did you ever, during that interview or after that interview, did you ever correct Mr. Jones that his representation was incorrect? MR. ANDERSON: Objection, Your Honor. Again it’s outside the scope. Q. How many times have you hung out with Mr. Andes? MR. ANDERSON: Objection, Your Honor, outside the scope. THE COURT: I’m going to overrule it. You may ask the question. THE WITNESS: Well, I mean, I’ve seen the adventures in the last week. I don’t remember. I’ve no recollection of mostly anybody I’ve ever hung out with, but — I’m not trying to be funny, you know. I mean, you’re a hard-hitting guy, but I — it’s — I don’t remember anything like that. I mean, you know, you meet — and I heard what’s been going down. You meet so many people in these environments that pass by and through, I’m sure meritous, charming people, but in the middle of all the chaos and the hubbub, how are you going to remember one guy from another if you don’t see him for 40 years? Q. Besides «Fresh Garbage,» can you name any other rock band which you covered their music? MR. ANDERSON: Objection, outside the scope. THE WITNESS: Yeah. The Yardbirds. Well, not rock band, because it’s not as derivative as that. We could move into soul stuff. Q. I’m saying rock specifically. Q. The Yardbirds was Mr. Page’s old band, right? A. Well, he joined the Yardbirds, yeah, but it was already there. MR. ANDERSON: Your Honor, these were already excluded, and it’s beyond the scope of the direct. These are the ones that are the subject of a pending motion as well, the ones that were — I don’t want to go further. THE COURT: Is this the one about the people being together? MR. ANDERSON: Yes, Your Honor. Q. You have no recollection of being at Mothers Club and meeting any member of Spirit, correct? Q. And you have no recollection of playing snooker with Mark Andes or any member of Spirit after the Spirit show, correct? A. I told you that I can’t remember — I mean, under the circumstances it’s not a very good thing to be saying, but I did have a very bad car wreck, and I don’t remember whether — I don’t remember seeing Spirit, Captain Beefheart, you know. THE COURT: So you don’t remember much from that night. THE WITNESS: It’s very difficult to remember it, really, yeah. But, no, I didn’t remember playing snooker. THE COURT: Next question. Got about a minute left, Counsel. MR. MALOFIY: Yes, Your Honor. One moment. THE COURT: There goes your minute, Counsel. Do you want one more question? Q. Is your memory as good today about events that happened in the past than it would have been years ago, closer to those events? THE WITNESS: Well, I don’t remember now, and I didn’t remember then. MR. MALOFIY: Fair enough. Thank you. THE COURT: We’re not through yet. MR. ANDERSON: Just one question, Your Honor. Q. Mr. Plant, you referred to «Bonzo.» Who’s Bonzo? THE COURT: Now you can go. THE COURT: Thank you very much. Next witness, Counsel.